Over 800 families suffered damages by a Socfin-KCD plantation, which is funded by Bolloré. The plaintiffs lost hope of obtaining justice in Cambodia and so took their case to France. 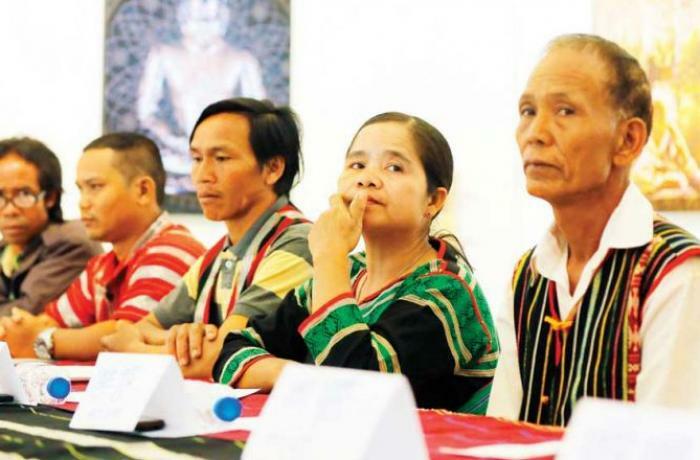 Phnom Penh (AsiaNews/Agencies) – The French Embassy in Phnom Penh has denied visas to representatives of six Bunong tribal villages in the eastern province of Mondulkiri, who want to take legal action in France against the multinational Bolloré. Eleven people had applied for a visa, including a lawyer, a translator and nine representatives of the indigenous group. The latter, some 114 people living in Bou Sra commune (Pech Chreada district), said that their land, traditions and ancestral customs are threatened by Socfin-KCD, a company bankrolled by Bolloré. 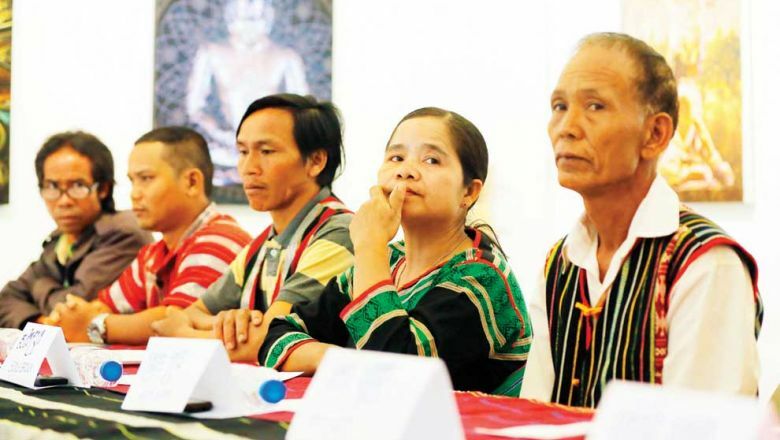 Last year, the residents filed a lawsuit demanding compensation for damages caused by Socfin-KCD, which has operated a rubber tree plantation in the province since 2008. At a press conference held yesterday in the Cambodian capital (pictured), Kroeung Tola, spokesman for the Bunong community of Bou Sra, explained that the indigenous group turned to a French court after losing hope of obtaining justice in Cambodia. In January, a court in Nanterre (near Paris) summoned nine members of the indigenous community to appear at a hearing scheduled for yesterday morning. The hearing had been postponed the previous month because the plaintiffs had been unable to obtain visas to appear before the court. Mathilde Teruya, a political and press counsellor at the French embassy, said in an email on Tuesday that the visa applications submitted did not comply with EU Schengen regulations. “Their presence at the tribunal wasn’t compulsory at this stage of the trial,” Teruya said. A report issued last year by the Cambodian Centre for Human Rights (CCHR) said that more than 800 families were affected by Socfin-KCD, most of them ethnic Bunong. At least 640 families were involved in a land dispute after the private company received a 70-year lease to some 2,386 hectares for rubber plantation and agricultural products. Mondulkiri provincial authorities claim the land dispute was settled; however, the villagers said they were still involved in lawsuits. Khmer Rouge leader denies accusations, calls to be set free because of "lack of proof"